Diana Black Attended the Healing Crusade and received healing in her ear. Diane was partly deaf in her right ear. She said she felt a a Pop and then a release. God restored Diane's ear to 100% hearing in our service. Monica Sonnier-Barrow received healed from disk problems. Gaila Thomas experienced foot pain for three years foot pain is gone. Gail was healed from back pain. "I was letting my Husband listening to your message and gave us confirmation, we are just now getting the paperwork started on our ministry. How you spoke about a cold that is what he have, how you was speaking on land on London Ave. and he keep saying we were moving but i was praying for were to go and you stated and so i look it up and it in the city that he want to live in when i shown it too him awhile back. Rancho Cucamonga, Ca. thank you for the conformation what we needed to here for today. Thank your so much for being the women that you are called to be." Charleen M. Davis , Kevin L Davis Sr.
"Hello Thank you for that word everything you said about me was true. That was true confirmation that i don't need to stress over things. Let go and let God." "Woman Of God I just want you to know that what you said about my mother was said about two months ago by a young lady that didn't even know her, I've thought I had gotten over her death she passed in 92 but I guess in my subconscious I must still be grieving for her and not known it I keep asking God why does it feel like I'm at a stand still, thank you for allowing God to use you, how do I move on, could it be because I have her ashes they were to have been spread in California by my eldest son but it didn't happen, long story but I ended up with them, I am going to seek God, I know that she's not in the ashes and that it's just something that is a custom in families." "Hi Allyssa. I just finished watching your live broadcast. I didn't want to break the prophetic flow, so I kept my comments to a minimum. However, I want you to know how much your speaking today blessed me. I am 56 years old. I have been saved and baptized in the Holy Spirit for almost 31 years. You spoke into so many different areas of my life. I have been having pain in my hip that had almost stopped me from going out of the house much. I am not on a cane, but I know it could have reached that point. You said I need a job. That is true. It is also true that the worsening pain was making it harder and harder for me to have hope that I would ever be able to work again. I have been gaining weight for the past three years. I worked as a teacher assistant in special education. The word you spoke over me today came as a lifesaver!" "Hi Prophetess you prophesied over me today and the things you said was so true my mom had me at 18 but every time I go into to a job I feel rejected and from my family members but I couldn't understand why and god reveal it to me today but I feel so hurt how my mom rejected I don't know why she is deceased now so that why I question it but I thank you so much For allowing God to use you your truly sent from God I never knew this until today wow." "Prophetess You prophesied to me on yesterday, and called my name out!!! You said God is releasing my financial angel!!! I just wanted you to know I got some money on yesterday!!! The word came to pass!!! You know a true prophet when what they speak comes to pass!!! You are a true prophet!!! To God be the glory in Jesus mighty name, Amen!!! Blessings"
"When Prophetess Allyssa prayed for my children my daughter no longer had a struggle in school with her academics. She made a complete turn around! She went from Special Education into a University studying Accounting! I give Jesus all the glory." I woke up and I wanted to go back to sleep and the Lord said, Get up. Get up for what I said, He said To get on Facebook. I thought for something else, But then I saw you start your stream, to which I said, Oh its 9 am, I see Lord. To keep it short, I felt you speak life intr my spirit. I'm struggling to stay in Faith, As I constantly begin to doubt because I'm used to thinking negatively all my life, So I am struggling remaining calm, But right after I heard your message, I went to sleep and I woke up feeling refreshed, Like I haven't felt in ages, Like I actually felt good when I awoke. Rested. I'm believing the Lord for that job. Maryjane Nwagbara: "I am Maey Jane!!! Everything you just declared is true. I lost a son. I thought about him today. There is a deliverance ministry upon my life. Yesss. I will believe God in Jesus name. And Yes the man in my house is looking to use me for the purpose of gain. And yes WOG (Allyssa) others have used me too. All I want to do is God’s will. You have been a blessing to us. Thank you, thank you, thank you. " 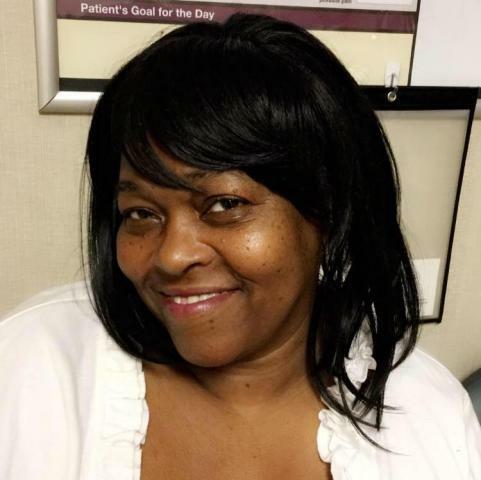 J.RENEE "Yes I hope everyone is doing well today an update from my regular to doctor all is well with my oxygen no troubles at all clean Report with COPD. I wanted to let you know that your prophecy given to me was true it came to pass I was flown from my local hospital to the major one for almost two weeks I was in emergency not knowing whether I was coming out love it or not praise God he saw the problem. 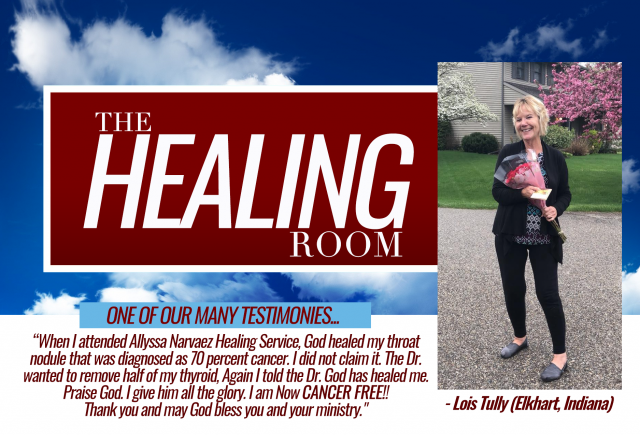 God Healed Me From COPD Through Your Prayers! EARLIER THIS YEAR AFTER I PRAYED FOR A MAN NAMED AARON CARTER GOD TOOK HIM OFF LIFE SUPPORT AND BROUGHT HIM OUT OF A COMA. HE HAD BEEN IN A COMA SINCE NOVEMBER OF 2017, AFTER A CAR ACCIDENT. HEAR MORE BELOW! GOD HEALED A CYST FROM A PREGNANT WOMAN’S OVARIES. SHIRLEY WOODS GAVE THE FOLLOWING PRAISE REPORT FOR HER DAUGHTER LAQUITA GRANT. READ MORE BELOW. I allowed the Lord to minister healing in Sunday’s service on yesterday and that night around midnight I received the following Testimony from that service!! Lisa Parker wrote!! “I’m testifying to you right now that my pneumonia or whatever it was has cleared up and I’m telling you I was physically ill for almost a full month Thank you so much for today the bunion on my foot is seriously getting better already and I have been sick for about a month now and I feel way better thanks to you and Jesus thank you so much I love you.” # I SMELL A ROSE IN SHARON! Lupita C Smith Testified from the Online Healing Service Days of Healing Feeling a Heat On My Left Side. Tinesha Owens-Huff · 50:51 Thank you Lord for my Healing I felt it!!! Dardelia Black woke up one morning and could not move. Something was crushing her spine. 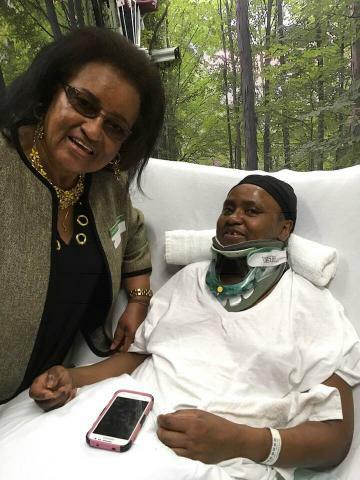 After multiple surgeries she still was paralyzed from the neck down for over 2 years. God spoke to me and said go to her and pray for her I am going to heal her. I flew from Texas to Michigan and prayed for her in Michigan. Four weeks later they recorded this video of her walking and healed in The Name of Jesus~ Rise and Be Healed!